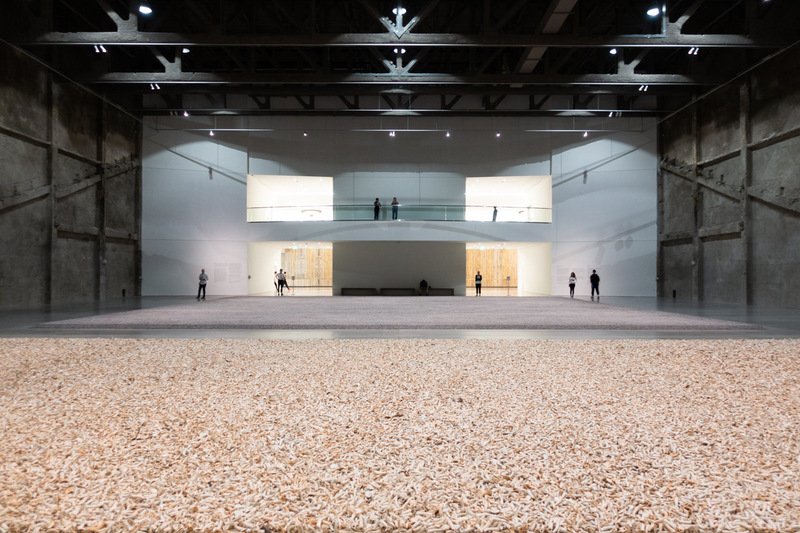 Last weekend, the Marciano Art Foundation opened an new expansive show from Ai Weiwei, his first major institutional exhibition in Los Angeles. Entitled Life Cycle, the showing includes old and new pieces, as well as a reworking of older concepts and techniques from the Chinese artist. 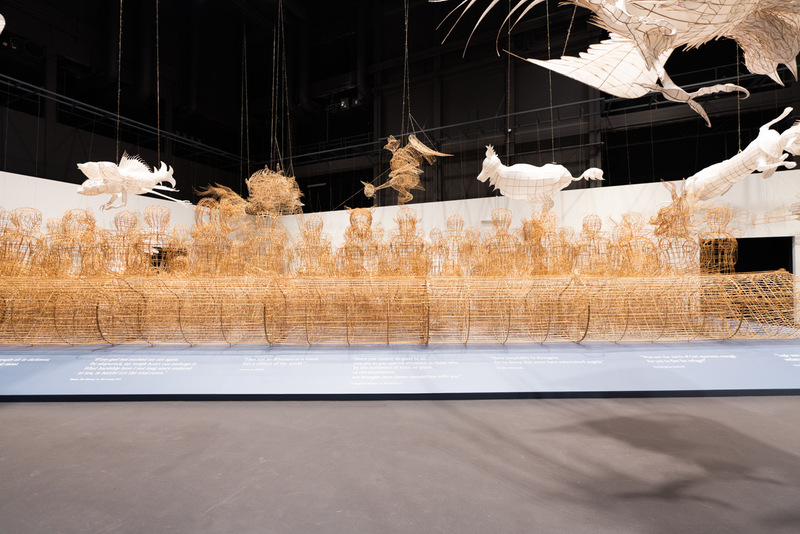 The centerpiece is his sculptural response to the global refugee crisis, a massive boat made from bamboo used in traditional Chinese kite-making. 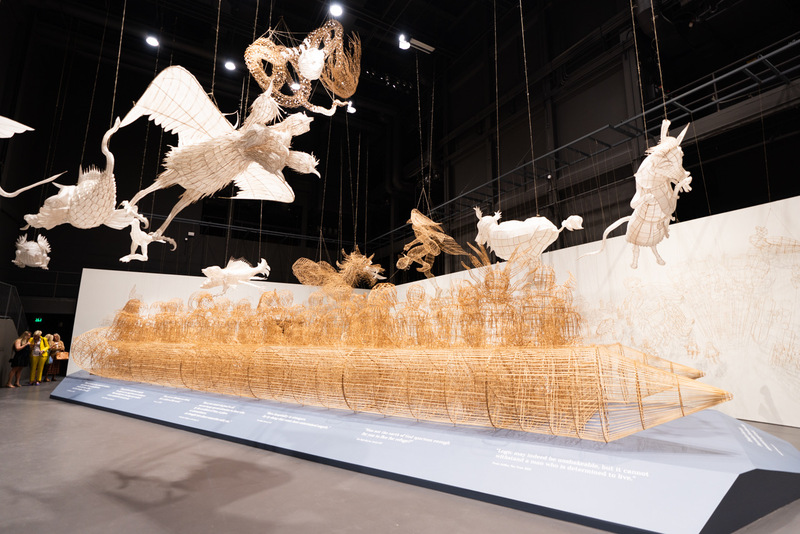 Suspended above this is Windows, mythological figures crafted from bamboo and silk along with pieces referencing the life and works of the artist, all of which taken together represent freedom of speech and Ai’s efforts in defending it. 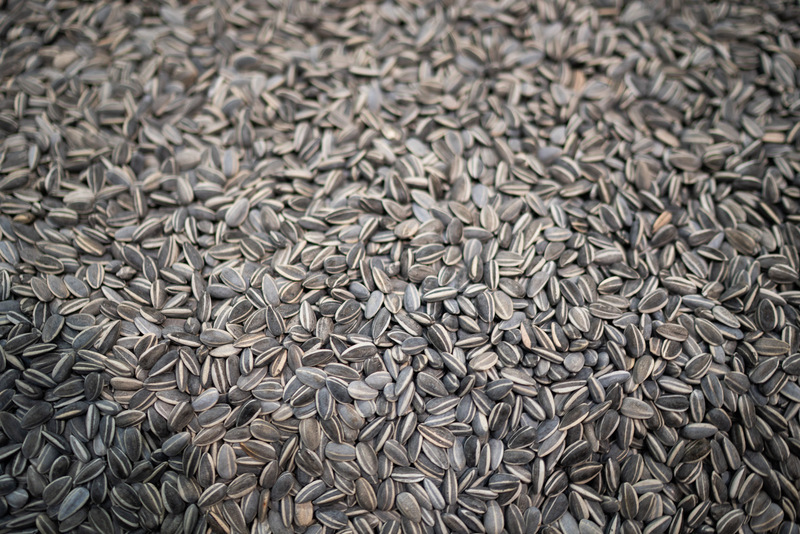 Rounding out the body of work in an adjacent space is one of his iconic Sunflower Seeds installation (created by 1600 artisans from an ancient porcelain production center in Jingdezhen, China). 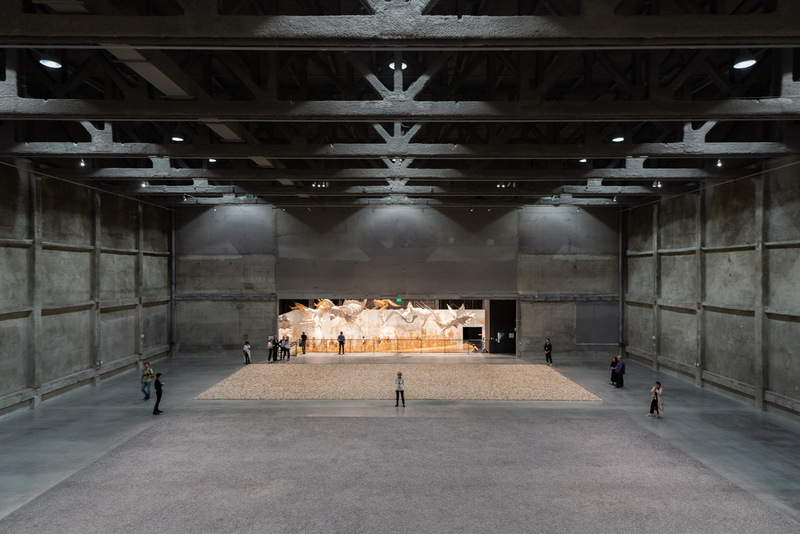 The striking sea of tiny seeds symbolizes the vastness of China with its uniform and precise order, commentary on the conformity required and censorship by the Communist party but also showing the potential strength in numbers to stand up to the government if necessary. 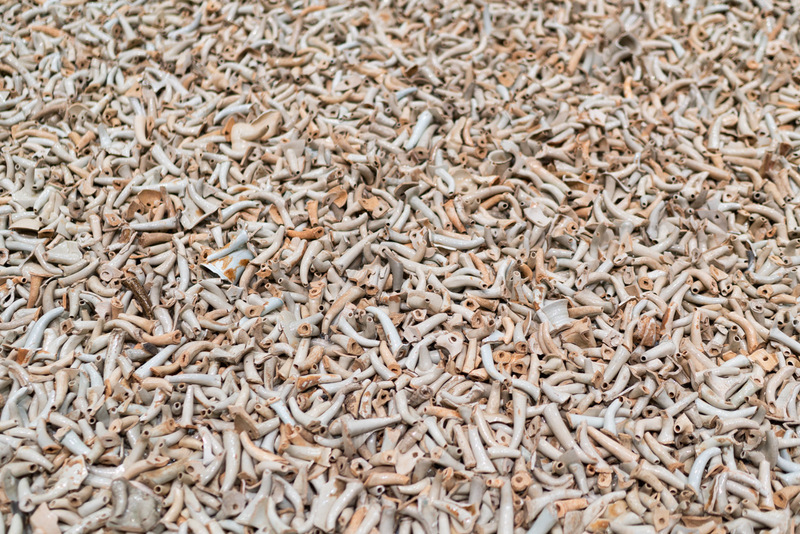 Alongside this is Sprouts, an equally impressive pile of thousands of antique teapot spouts – a metaphor for a mass of mouths yearning for freedom of speech. 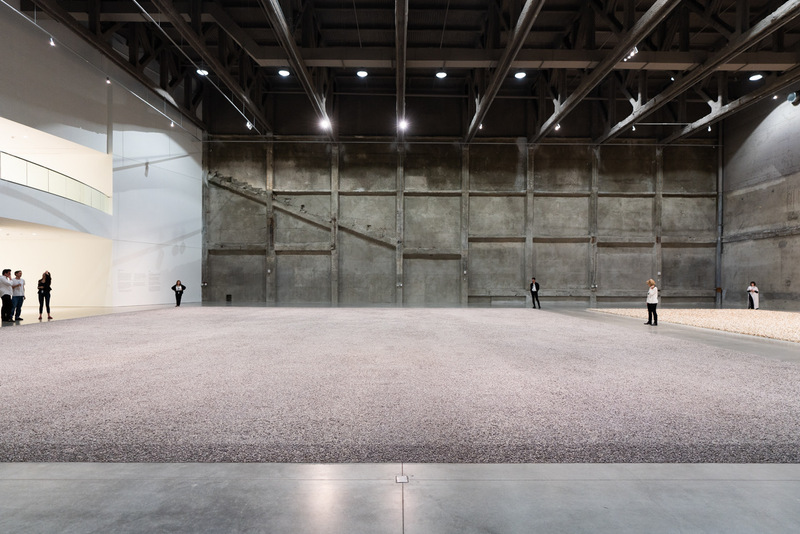 Categories: Contemporary Art, Installation, Museums, Sculpture, Shows & Events. 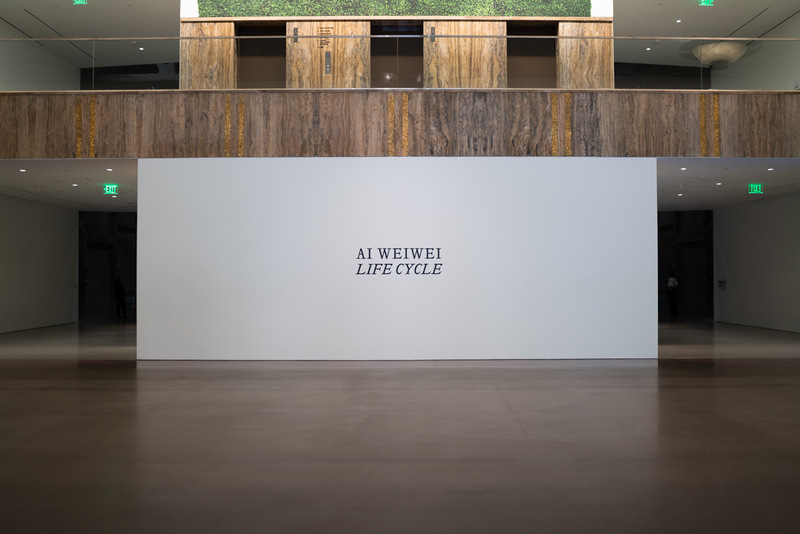 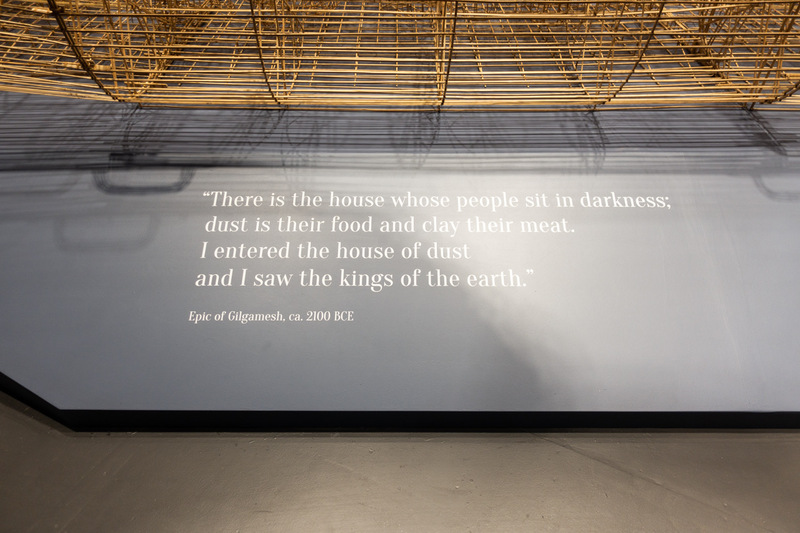 Tags: Ai Weiwei, Contemporary Art, featured, Los Angeles, Museums, Shows & Events, slider-featured.